Albert is an experienced business attorney focused on mergers and acquisitions, commercial transactions and general corporate matters. 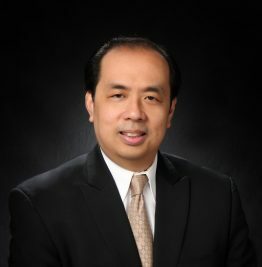 As a U.S. and Philippine-trained attorney, he advises clients in relation to inbound and outbound foreign direct investments and cross-border transactions. In light of his commercial background, he also advises clients regarding business disputes and legal remedies. Albert practiced with Warner Norcross & Judd LLP in Grand Rapids, Michigan, U.S.A. from 2005 to 2012, and with SyCip Salazar Hernandez & Gatmaitan from 1997 to 2000 and from 2014 to 2017. He was named among the 40 “Under Forty” business leaders by the Grand Rapids Business Journal in 2007 and 2009, and featured among the 20 “young leaders” by the Grand Rapids Magazine in 2008. Assisted foreign entities in relation to investments or ventures in various industries in the Philippines, including financing, lending, manufacturing, healthcare, and consumer products. Acquisition and divestment of U.S.-based assets by a multinational Philippine food company. Acquisition of assets of a privately-held Japanese medical equipment manufacturing company worth approximately $70 million by a U.S.-based medical equipment manufacturer. Acted as co-counsel in relation to renewable energy project. Negotiated terms of €80 million infrastructure construction and supply agreement. Due diligence on manufacturing facility of an automotive supplier in Michigan in relation to a potential acquisition by a P.R.C. automotive supplier. Structured and set up U.S. subsidiary of automotive supplier based in Changzhou, Jiangsu Province, P.R.C. Structured and set up subsidiary in the State of California, U.S.A. of a large Philippine real estate development company. Structured, set-up or negotiated terms of various transactions and ventures in China, Singapore, Vietnam, India, Indonesia, Myanmar, and the U.S..